Hi there! I've barely been in the Craft Cave at all in the last week but I found a little bit of time to sneak in there today. I made 3 cards for 5 challenges. 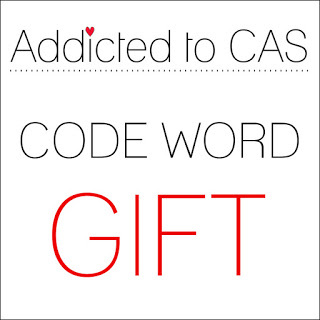 First up I combined the Addicted to CAS Gift challenge with the CAS on Sunday sketch challenge and came up with this little number. The patterned papers are from an old Crate Paper collection. The gifts and sentiment are Reverse Confetti and the Wonky Stitched Circle die is from My Favourite Things. Next up is a card for the Stampin' Celebration inspiration challenge. I was inspired by the blues and greens, the flags in the top right picture and the kraft background in the bottom right picture. I used my favourite Reverse Confetti alligator and some RC banners along with Newton's Nook sentiments. 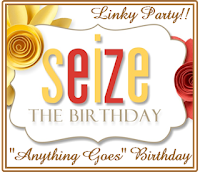 I'm also going to enter it in the Seize the Birthday Anything Goes challenge. Finally a simple card for the Paper Players colour challenge. The polaroid frame has been in my scrap pile for a while so I was glad to use it. The Taylored Expressions kite die is NBUS, the cloud is Lil' Inkers and the sentiment is Altenew. It's perfect for this time of year as Good Friday is kite flying day in Bermuda! A long weekend with kites, hot cross buns and codfish cakes. Yummy yummy! Fingers crossed for sunshine and a good breeze. That's all for today. Have a lovely evening! Dies: (Kite) Taylored Expressions, (Cloud, polaroid frame) Lil' Inkers Designs. CAS fabulousness Jen, my fave is that fun croc (can croc's be cute? because he totally is)! A trio of delightful cards Jen!! That little croc always makes me smile!! Wow these cards are all awesome love them. Thanks you for joining us over at CAS on sunday and ATCAS. That gator is just a fun guy, no chances of biting I think! As for the challenge colors at The Paper Players... a Fabulous job! 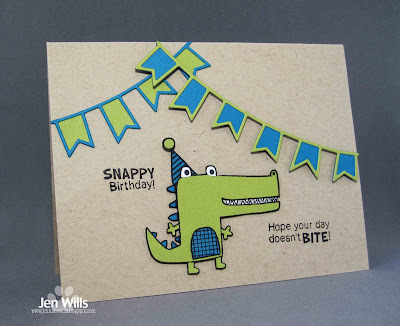 3 great cards Jen - love that cute little croc! Thanks for joining us over at The Paper Players this week! Fabulous group of cards! 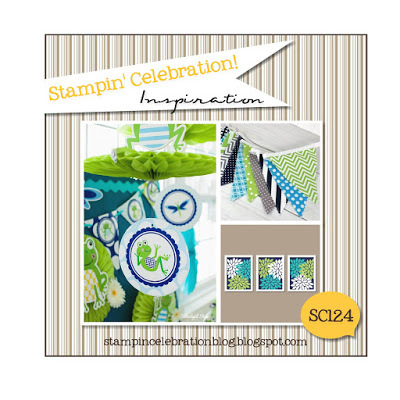 That adorable croc and fun bunting are perfect for both Seize the Birthday and Stampin' Celebration! Thanks so much for joining us and hope you'll play again soon! 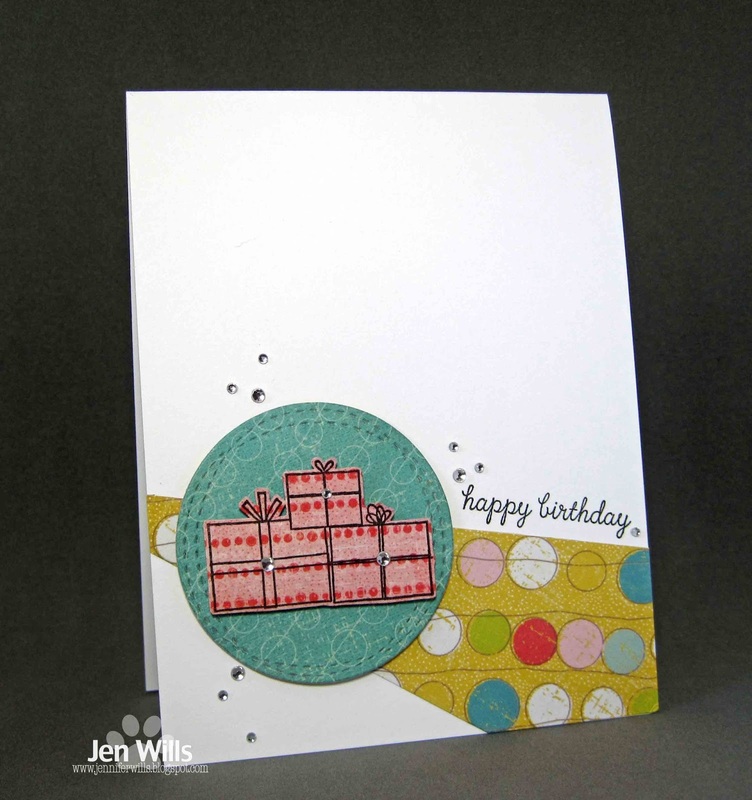 Lack of time in the Craft Cave and yet you have three cards? You are obviously a much more efficient crafter than I am. 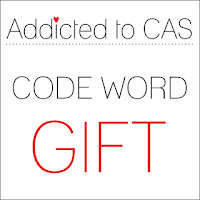 Three perfect CAS cards, too! Three different but equally wonderful cards, Jen. I'm glad your craft cave visit was so productive. OH, so fun to see all three of these. Love the all, especially the crocodile one. He's so cute.